PRM Medical College Staff Nurse, Pharmacist Final Selection/Merit List 2017-18. 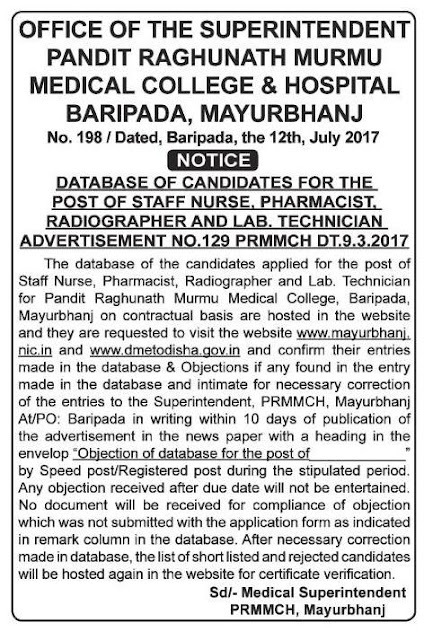 PRM Medical College Published Database of Above Post Advertisement No.129 Now Applied Can Candidates Can Contact PRM Medical College if there are Any Objection Found in the Entry in the Database. After necessary Correction the Final Selected List Will Publish On Official Website.